Kokos, today I am honored to introduce you to my sweet friend Amanda who blogs over at Jasper and Willow. She is an amazing wife, mom friend and blogger. She always has fun, inspiring and encouraging posts to share with her readers. I’ll let Amanda take it from here! For some children going back to school can cause some jitters. 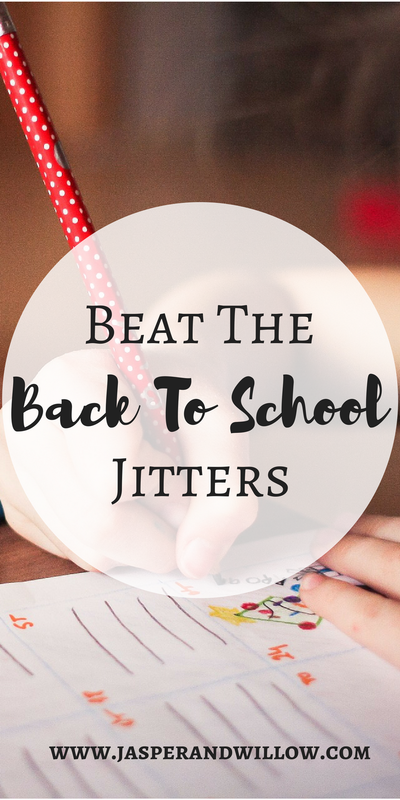 With a few simple tips and tricks you can calm those kiddos nerves, and get them super excited about going back to school! Allow your child to take the lead when picking out their backpack, lunchbox, and other school supplies. My son has SO much fun doing this! Yes, I may need to ‘guide’ him in his choices, but the final decision is ultimately his. Having a calendar that the kiddos can help with is SO much fun! We love our chalkboard decal calendar. Having a large calendar is great for the kiddos to be able to visualize the count down to school starting. You can also add any upcoming school event, or special dates and birthdays, which really helps add to the excitement! We love these fun chalk pens to be able to make it super colorful! Making playdates with future classmates is a great way to calm those back to school jitters. We love to have playdates all Summer, but I really try to focus on at least one or two a week in the first few weeks before school starts. If your child is feeling nervous about starting school, this helps with being able to remind them of the friends that they will be able to see at school. This is such a great way to engage your child about the upcoming school year. You can talk about what they think they will do and learn, or what they are most looking forward to with starting school. It can also be great to go over examples of what you think they might do daily. We talk about this A LOT right before school starts, and I think it really helps to prepare them. We also ‘practice’ some school activities and expectations over the Summer, so that they aren’t too overwhelmed by the upcoming routines. Mama, the kids starting school can be SO tough. 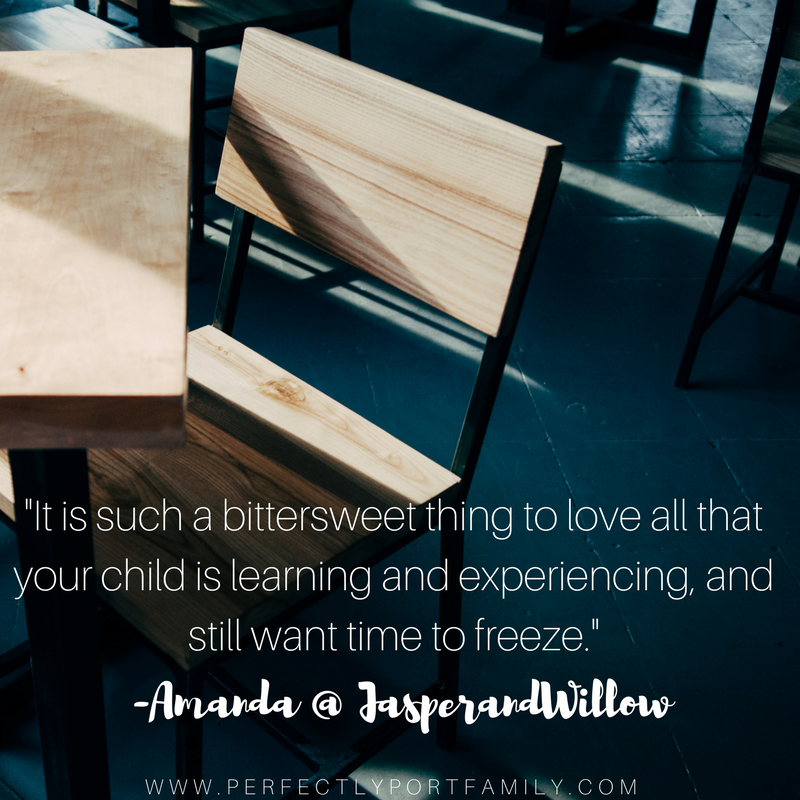 It is such a bittersweet thing to love all that your child is learning and experiencing, and still want time to just freeze. Try to take some time for yourself to really take it all in, and breathe! This is a pretty major milestone, and it’s okay to be feeling the jitters too! I hope these tips help lead you and your family to lots of fun and excitement about the upcoming school year! And remember…you SO got this mama! I am guest posting over on her site today so make sure you check out both back to school posts!